"An individual ant is a simple creature that is capable of very little by itself and lives its life accord- ing to a simple set of rules. However, when many ants interact together in a colony, each following these simple rules, a spontaneous intelligence emerges." Are social games more engaging than solo ones? What are the most common player interaction patterns in games? Can we extract the best of those for Gamification Design? One of the things that keeps on surprising me over time is how much a game changes when it goes social. It's just amazing to see one single game you think you mastered long time ago turning into a completely new experience when another person comes in and play with or against you. During 2013, I spent quite some hours on a game called Celtic Tribes, a Catan like mobile experience available for iOS and Android. It was so much fun and even when the game itself could have been better (I'd rather recommend you Travian) I basically kept on playing due to the people I met there. 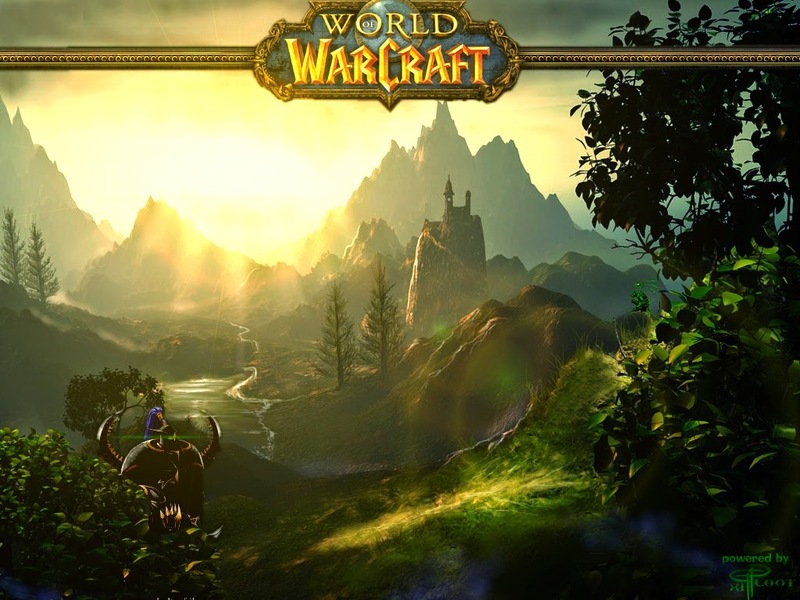 Some days ago, one of the students from the IEBS' Gamification & Transmedia Master's Programme where I teach at (standing for Innovation and Entrepreneurship Business School) told me: "I played World of Warcraft for 8 years and the reason that made me return to Azeroth again and again was people". This is nothing new, and if you think about it for a moment it quite logical; even the ancient greek knew about this fact! No wonder that Aristotle said "Man is by nature a social animal". So at this point you might be wondering: Why are we talking about this topic and what is this all having to do with Gamification? Well, as it turns out, gamification as games is a discipline that works best when it creates a social experience. But do not get me wrong on this, it is not about implementing leaderboards and guilds all over to make things more social, but rather about designing the right mechanic for every phase of your gamified system. Let's have a closer look to it! Every single game has several stages and different challenges that players have to overcome in time. 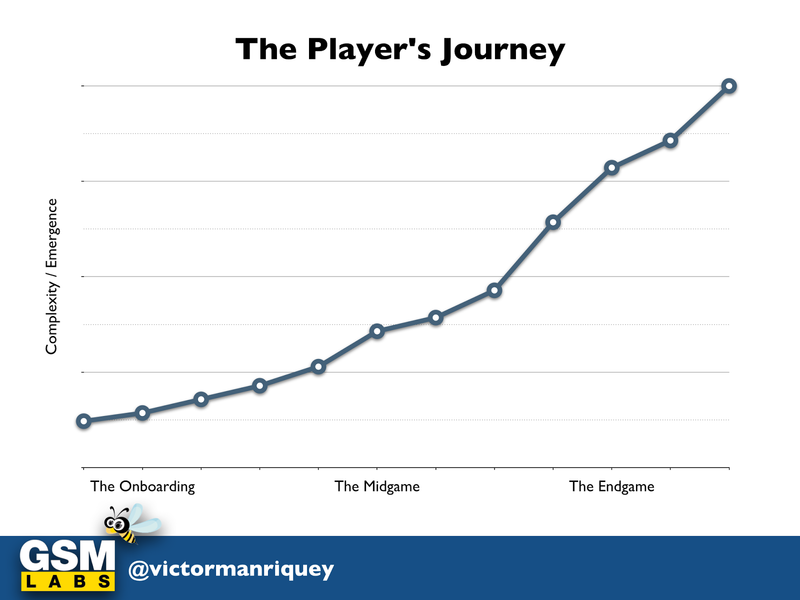 I'm not going to delve into this topic that much on this blogpost but if you want to know more about the player's journey or have never heard of it, it might be recommendable to check it out. We're going to follow this theoretical model because splitting games into different phases allows us to more accurately analyse some of the most common social strategies that designers create in games and gamified experiences. In order to do so, we'll follow Tracy Fullerton's competition and collaboration types that can be found in her book "Game Design Workshop: A Playcentric Approach to Create Innovative Games". For those of you who are not familiar with those, it is always good to have a closer look at it before starting. What kind of social strategies can we design in gamified experiences? Which one to choose for each player's journey stage and why? Are there any epic examples out there? WHAT: Fullerton defines it as "This is a game structure in which a single player competes against a game system. Examples include solitaire, Pac-Man, and other single player digital games." It is pretty much about you trying to defeat game designers and their AI's system. WHEN & WHY: Solo PvE is a great strategy for your onboarding and midgame because it allows us to avoid some of the most common social problems such as the lack of a critical mass at the beginning of your experience. It also engages our players more since they can just keep on advancing and getting into the game without any social constraints. However, solo playing is not as engaging during the endgame and many people never play some games again once they've completed them. 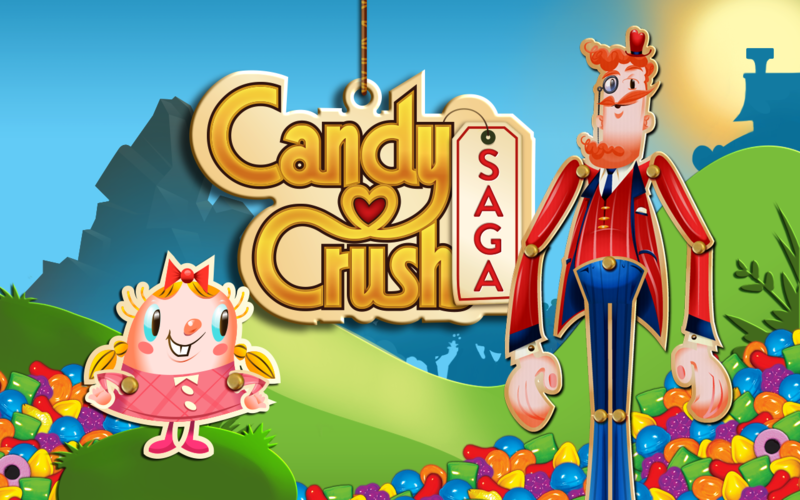 AN EPIC EXAMPLE: There are tons of games out there that combine solo and social strategies during its game stages but Candy Crush is one of the best. When people start playing, they can keep on advancing through its chapters without any social contact or barrier. Once they are fully engaged, many people voluntarily link their accounts to Facebook to beat their friends or help each other to overcome bottlenecks. WHAT: In Fullerton's book, Multiplayer PvE is defined as "The game structure in which multiple players compete against a game system in the company of each other. Action is not directed toward each other, and no interaction between participants is required or necessary. Examples include bingo, roulette, and Slingo. To sum it all up, it is about many players going against the system without any human enemy. WHEN & WHY: Multiplayer PvE is rarely seen in games and neither it is in gamification. It is not the best way to start off a gamified experience but can be great during the midgame, when players are more experienced and need some help to defeat the system. However, and as with Solo PvE, it is not recommended in the endgame by itself because it doesn't allow further social interaction. AN EPIC EXAMPLE: This might not sound like the most legendary example but Blackjack is always a nice and easy way to see how this model works. It is definitely not the best strategy for gamification but can work fine if we have any sort of gambling mechanics. WHAT: Cooperative PvE is defined by Fullerton as "This is a game structure in which two or more players cooperate against the game system. Examples include Harvest Time, the Lord of the Rings board game, and cooperative quests in World of Warcraft". This is a very simple but engaging strategy in which players gather together against the AI of the game. WHEN & WHY: This kind of social strategy is most likely your best friend for the midgame, a game stage where your players already are experienced enough to start collaborating together against the system but not all of them are fully up for a PvP. It really enhances that game stage by allowing a new way of playing together while all the negative effects of competition are avoided. However, it is neither the best option for an onboarding due to the reduced critical mass that many experiences have at the beginning, nor for the endgame, a phase that calls for some competition. 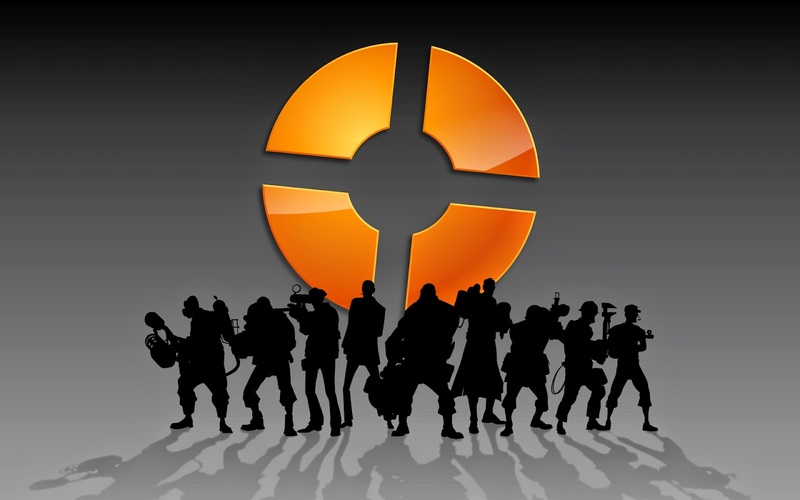 AN EPIC EXAMPLE: One of the best Cooperative PvE strategies that I have seen is Team Fortress 2, a game that features a fantastic Co-Op mode against the always challenging game's AI, while offering the classical Team PvP mode where to test your skills against other human players. WHAT: Solo PvP appears in Fullerton's book as: "The game structure in which two players directly compete. Examples include checkers, chess, and tennis. This is a classic structure for strategy games and works well for competitive players." This is all about head-to-head gameplay and it can both feature random or defined player matching. WHEN & WHY: Solo PvP might seem like a really good way to engage your players due to the generated competition but be careful, it can lead to cheating and some other non-desired behaviours! Furthermore, never use Solo PvP in the beginning of your experience (lack of critical mass and massive losses of players due to dire competition) and when implementing it at the end of your gamified system, do allow alternative gameplay modes for non-competitive players. 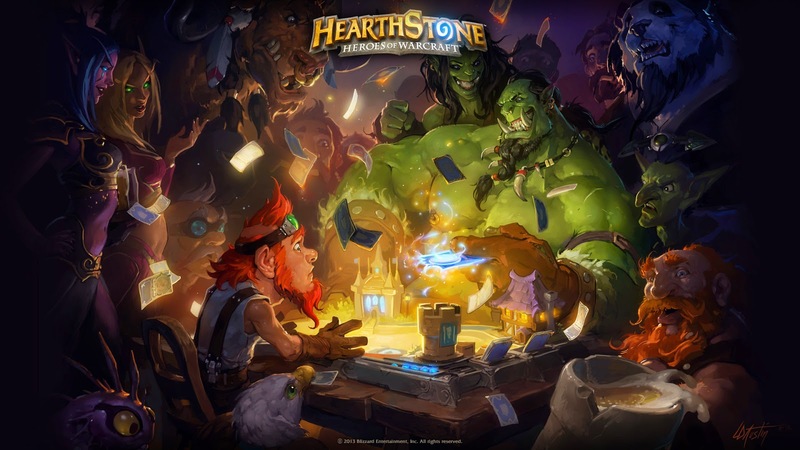 AN EPIC EXAMPLE: One of the best examples of Solo PvP nowadays is Hearthstone, a fantastic game developed by Blizzard. Featuring both a competitive mode (with kind of a random player matching) and the recently launched PvE adventures, it implements an epic way to avoid non-competitive players from leaving the game. WHAT: This social strategy is described by Fullerton as "The game structure in which three or more players directly compete. Examples include poker, Monopoly, multiplayer games likes Quake, WarCraft III, Age of Mythology, etc." The main difference with the previous pattern is that Social PvP allows multiplayer competition whereas Solo PvP only involves 2 players at a time. AN EPIC EXAMPLE: There are many examples of Social PvP out there, but WoW's Player vs Player zones are a really good example of how to really engage pure competitive players. And always remember that Social PvP works best when it is combined together with Team PvP! 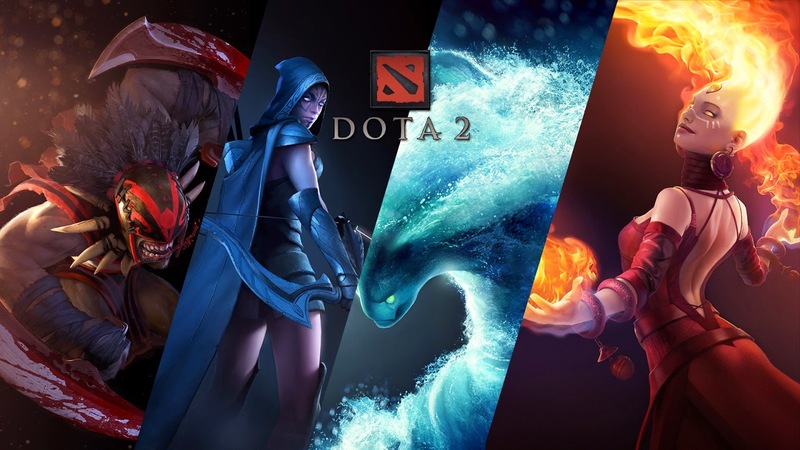 WHAT: Team Pvp is one of the best way to engage your players towards the endgame of your experience and it is defined by Fullerton as: "This is a game structure in which two or more groups compete. Examples include soccer, basketball, charades, Battlefield 1942, and Tribes. WHEN & WHY: This type of social strategy is by far my favourite one to create everlasting experiences. I definitely not recommend it for the onboarding since players might easily anxious with it but once they become total Pros, it really is an epic way to add tons of fun emergence and complexity to almost any gamified project. Remember that guilds, parties, or alliances are some of the best ways to implement a great Team PvP and always take into account that players will progresively ask for more social mechanics, so chats, forums, DMs and guild channels are also a good idea! AN EPIC EXAMPLE: This player interaction pattern is one of the most popular nowadays and some legendary examples are Dota 2, League of Legends, Team Fortress 2, or CoD's multiplayer servers. 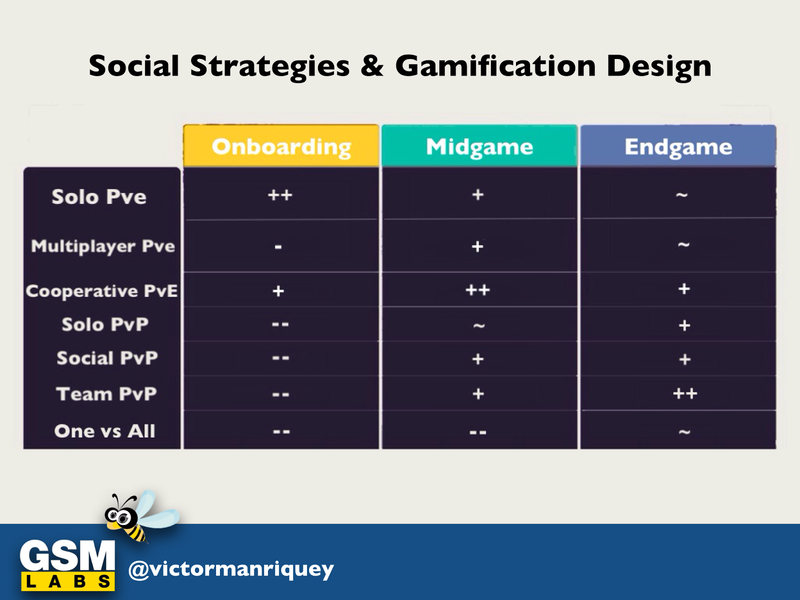 One vs All is not really a good choice for gamification and I do think that it would be difficult to find any gamified experience that features this kind of social strategy. Anyway, and if you want to know more about it, you can always give it a check at Fullerton's book!